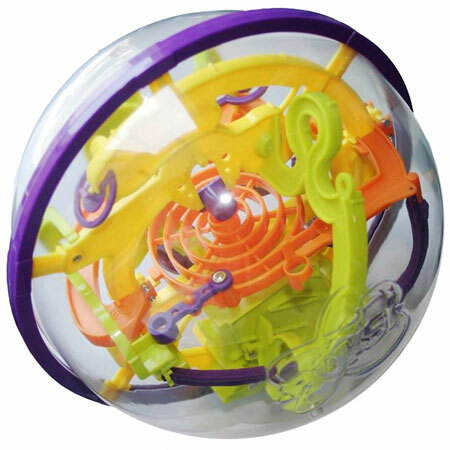 I had the joy of reviewing the Perplexus Original 3D maze and you can see my review here. The people with the Perplexus Original 3D maze liked my review and are letting me do a giveaway for my fans. My dad loves puzzles and mazes and has several. My son is extremely visual and also loves puzzles and mazes. This looks like the perfect toy for him. He has to think, it requires fine motor skills and patience, and he would love to play with it. My dad has a similar one and the grand kids love to see if they can work it out. All of them are under the age of 8.